As if Pandemic wasn't tough enough as it is! Now, one of the diseases is even more deadly and will behave in all new ways, keeping you on your toes even more, hoping to stop and reverse the spread of such a terrible outbreak. 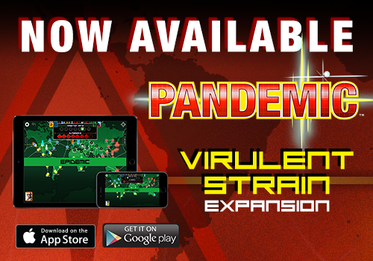 You can now get this expansion for the Pandemic app in the App Store and Google Play.